These neon green acros have such a great shape! Reminds us of a fuzzy, bushy Acro echinata or tenuis. 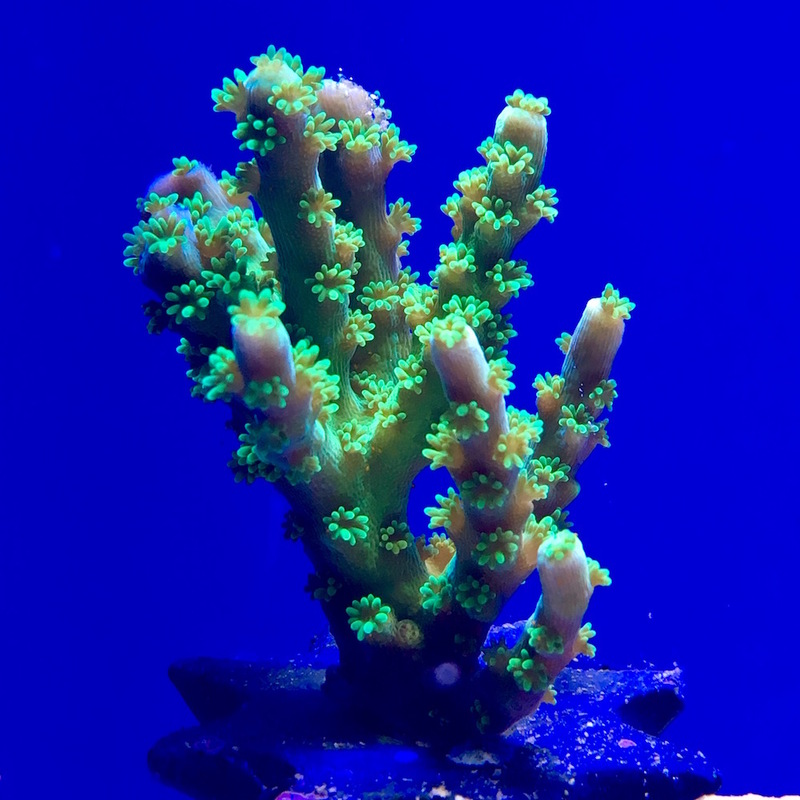 The name derived from its father, a local Long Island reefer who proudly grew out a large colony of this awesome coral and donated it to Joe's reef tank. Now we are fortunate to offer it for sale!